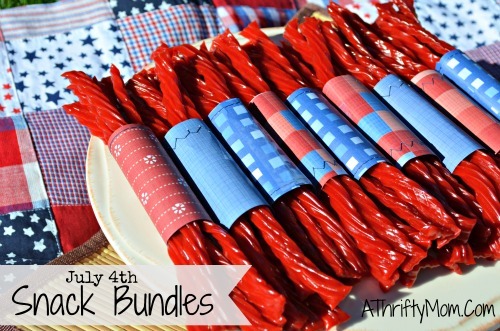 July 4th Party Ideas They'll Never Know Were Last-Minute! 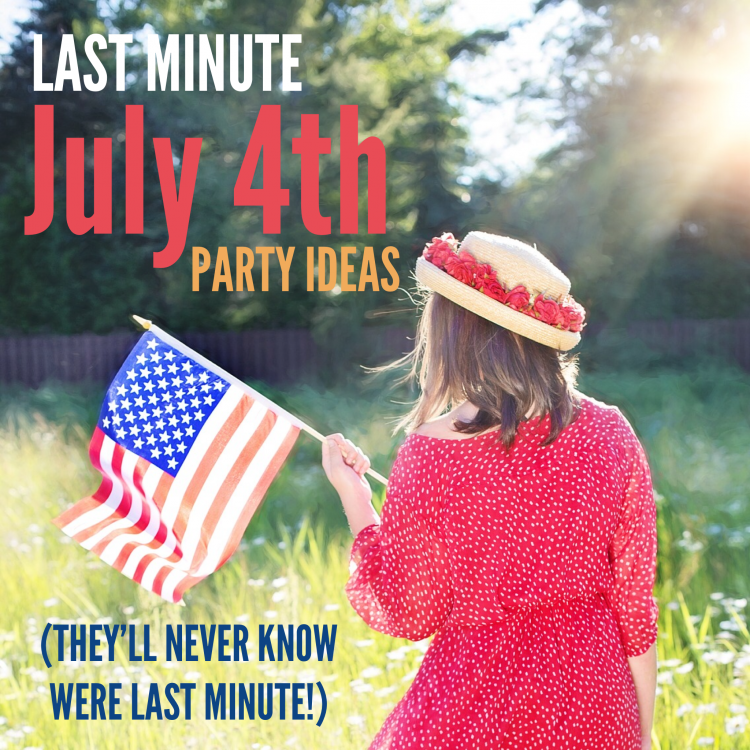 July 4th Party Ideas They’ll Never Know Were Last-Minute! Ever guilty of planning a ton in your head, but still find yourself scampering at the last minute to make things happen? Or maybe a relaxing July 4th in the pool has turned into a neighborhood BBQ and you have guests RSVP-ing that you don’t even know. 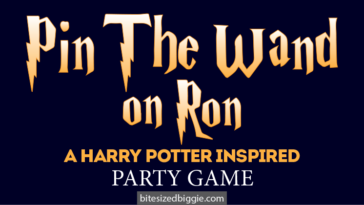 Here’s a quick list of DIY décor, food, and clothing that will leave everyone convinced that you’re a master of party planning! 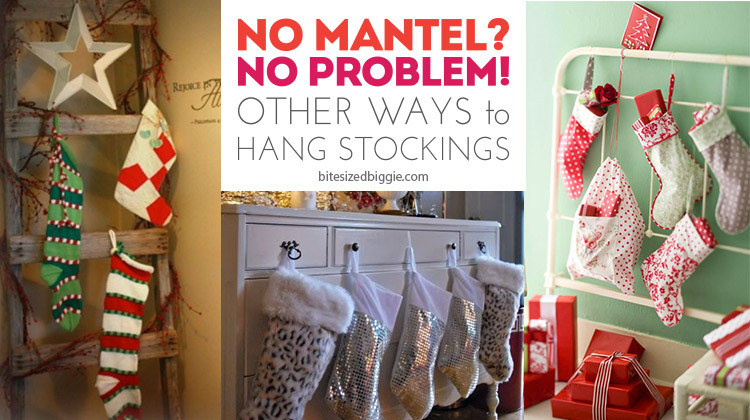 This garland is quick and made out of plastic table cloths. 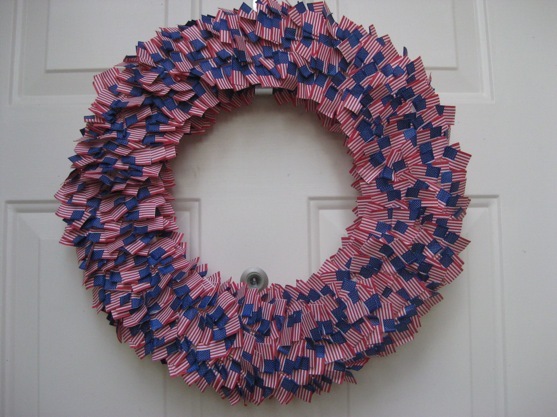 Cut strips and tie knots on a strand of outdoor lights and voila – patriotic lighted garland. 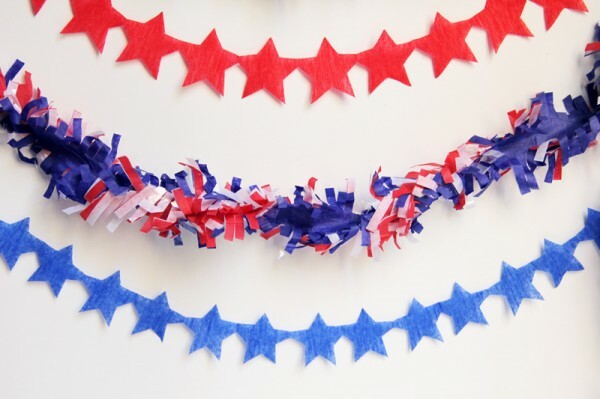 With a little more time, this patriotic yarn lighted garland will also WOW the crowd! Crepe paper streamers are always cheap and easy to get your hands on. These star streamers are a nice way to jazz up the old standby. 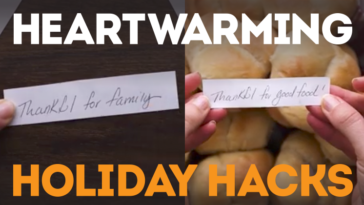 This clothespin wreath is easily assembled. Just grab some spray paint and make the magic happen! 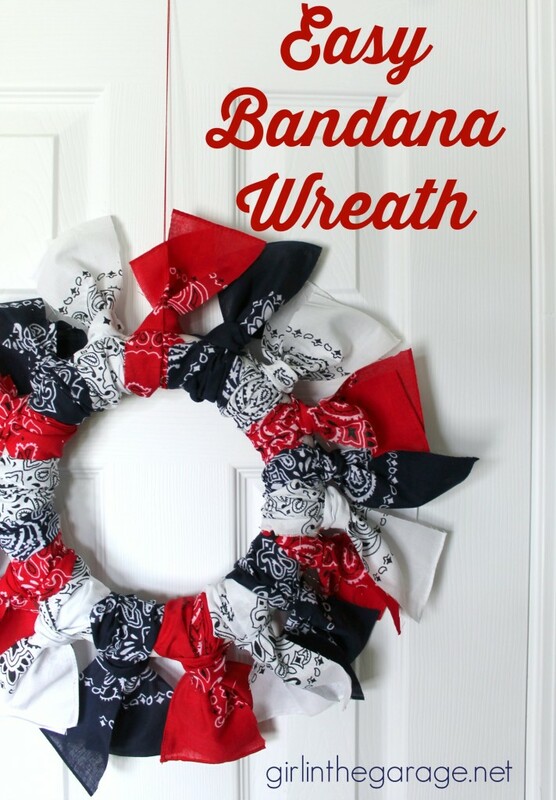 Another wreath option is this super cute bandana wreath. Nothing says “all American” like a bandana! These little toothpick flags have always been a fave! Why not turn them into this flag filled wonder?! 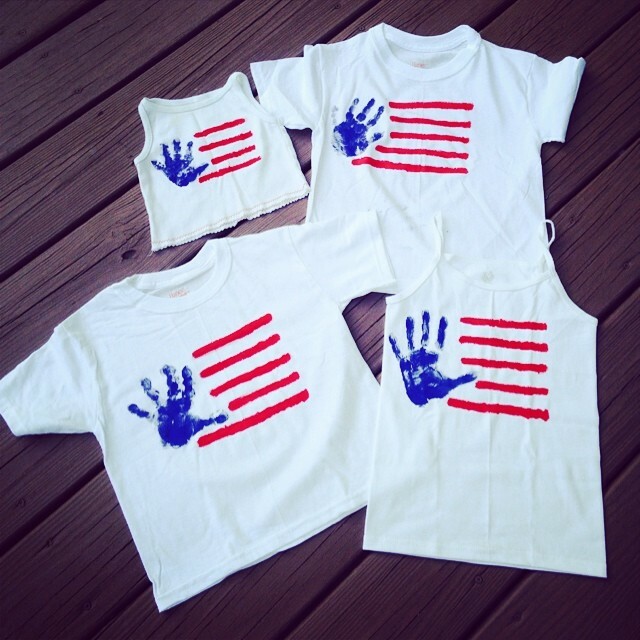 A great project for little helping hands. 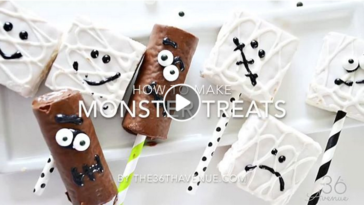 These Snack Bundles are super cute and easy to make! 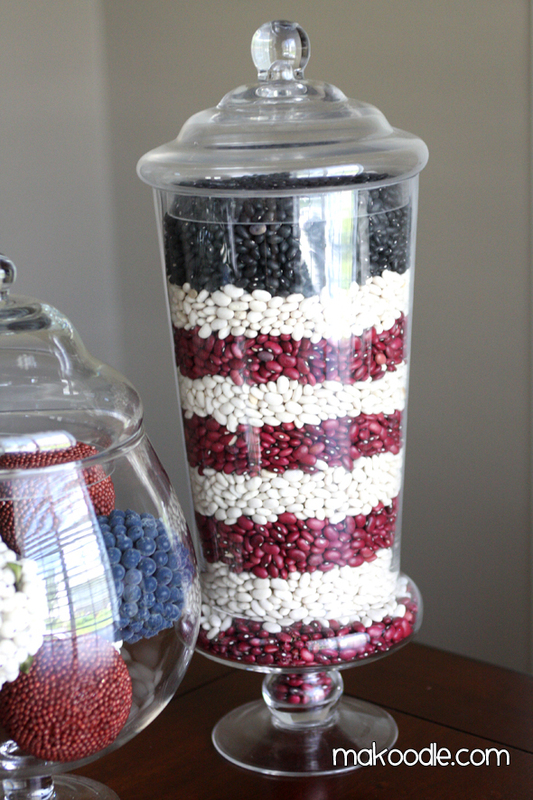 Red, White and Blue things put in jars are simple and genius! These are filled with black, white and red beans. 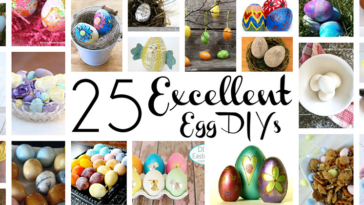 Super cheap and super easy! 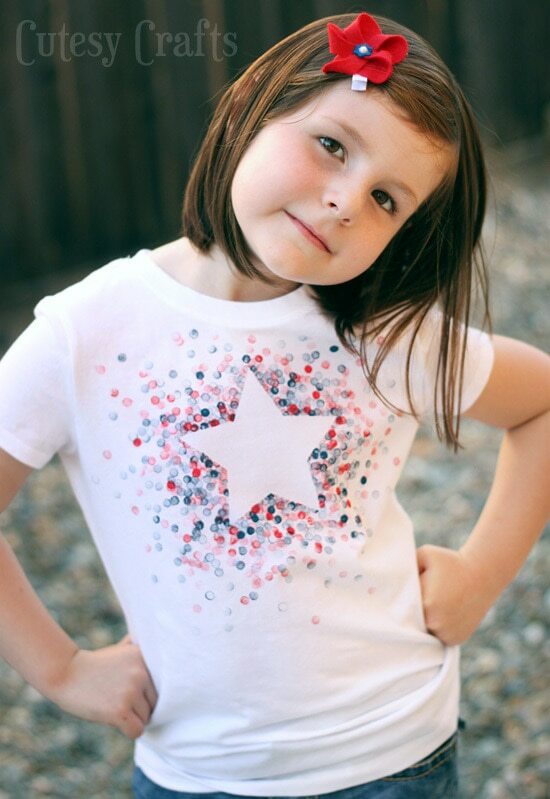 This cute tutorial is simple and inexpensive. The only supplies needed are blue & red paint and a white t-shirt or tank. The whole family could have one! 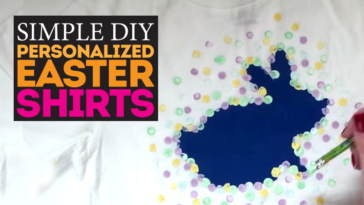 This shirt gets little ones involved, but could also be BIG fun for adults. The dots are made with erasers! If paint isn’t your thing, pipe cleaner fireworks can be fun, too! 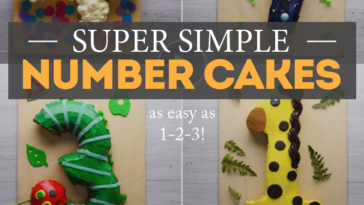 This can be turned into a sparkler wand, too! And this glittery explosion is contained nicely in a soda bottle! 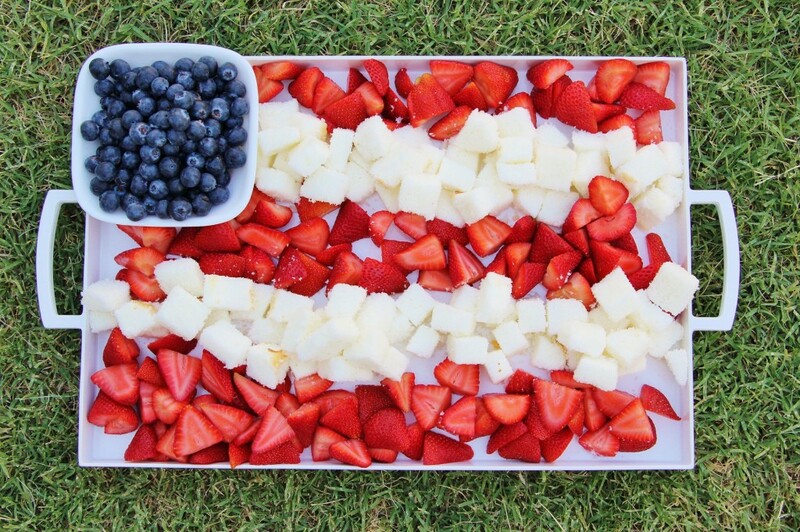 This flag tray seems quick and easy to prepare. Just cut angel food cake into cubes and slice up some strawberries. A little Cool Whip on the side might be tasty, too! No chopping required! 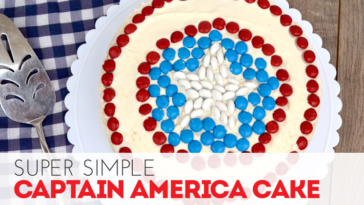 This Easy Flag Dessert is quick to prepare and super healthy! 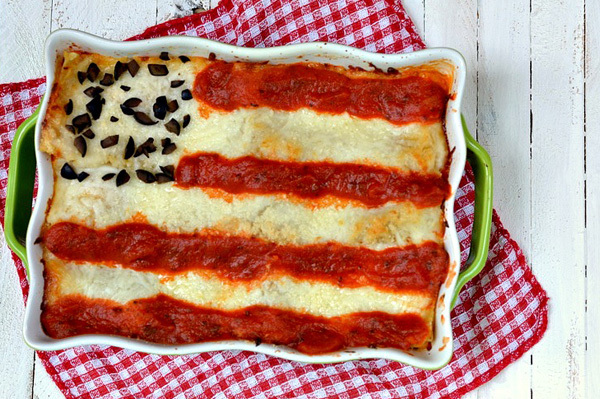 Burgers and dogs are always a safe bet for a BBQ, but here’s a flag lasagna that’s sure to impress! 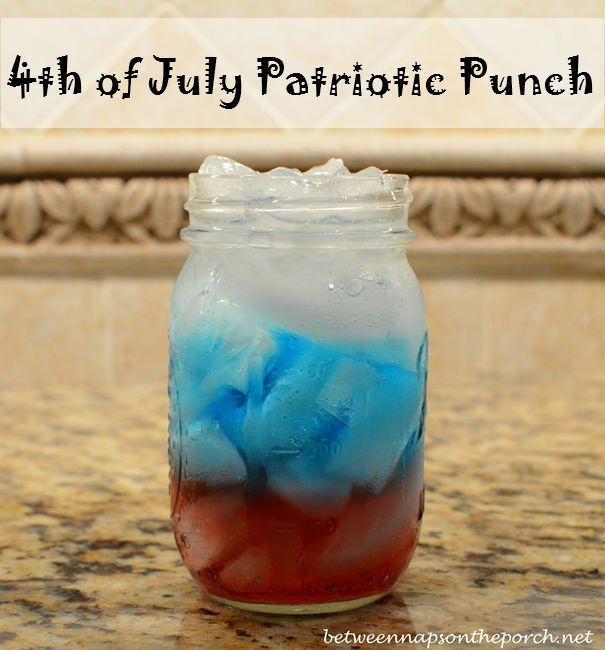 To refresh your guests, make this patriotic punch. OR make it an adult beverage with just a little tweaking of the recipe! Previous article Leggings Tutorial – Free, Easy AND Awesome!